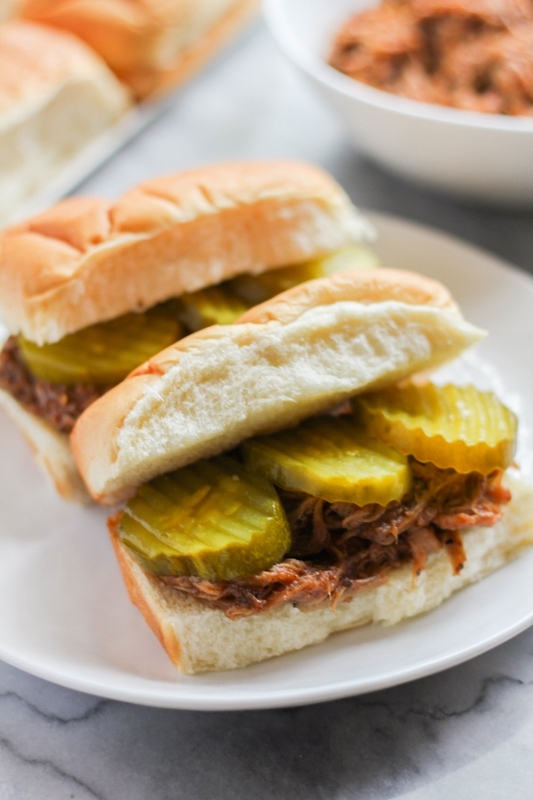 Serve up these Spicy BBQ Pepper Pork Sandwiches for a fast and delicious weeknight meal! 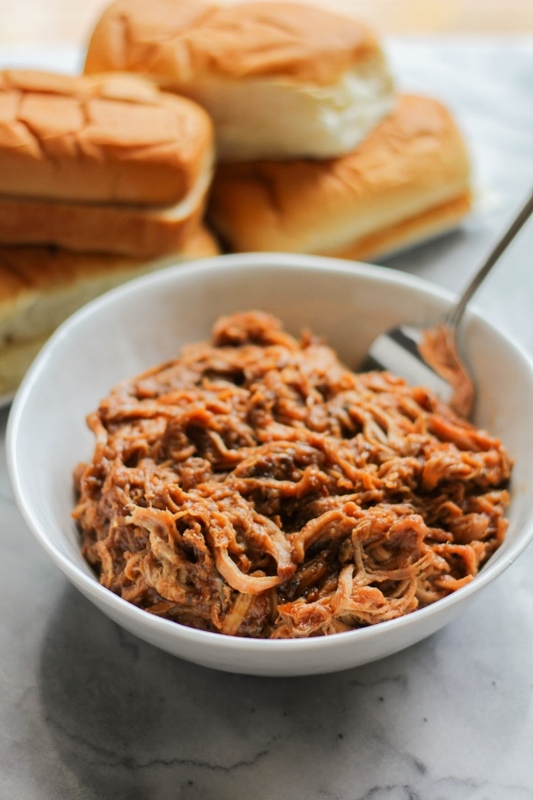 They are hearty and flavorful, and the slow cooker does all the work! Not only is fall my favorite season, but it also happens to be the busiest time of the year for my family. Between school and sports, it seems like we are always on the go or in a rush. I still cook dinner for my family most nights, which means I need to create meals with real flavor, real fast, and make sure it's something my family will enjoy. I've come to rely on using Smithfield Marinated Fresh Pork to create quick and delicious meals because it's so versatile and can be cooked in a variety of ways. I feel like during the fall and winter I'm stocking up on Smithfield Marinated Fresh Pork pretty much weekly. It's an easy meal solution for any night of the week, not just for special occasions, and is available in a variety of flavors across Tenderloins, Loin Filets and Sirloins. The flavors include Garlic & Herb, Roasted Garlic & Cracked Black Pepper, Sweet Teriyaki, Southwest Style Peppercorn, and Slow Smoked Mesquite. Each Sunday I shop at my local Kroger and grab a few of my favorites and plan out my meals for the week! 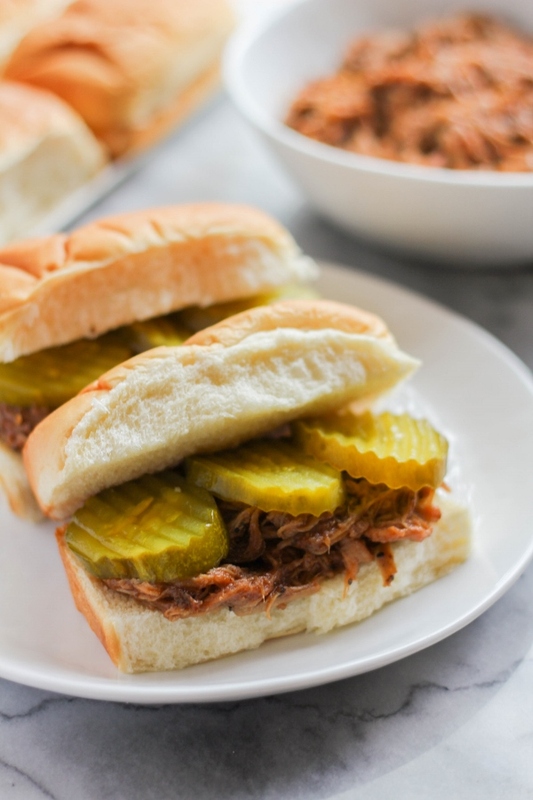 I use the Smithfield Marinated Roasted Garlic & Cracked Black Pepper Pork Tenderloin to make these simple and delicious Spicy BBQ Pepper Pork Sandwiches. The pork cooks in the slow cooker all day long and does the work for you, what's better than that? That means when you get home from work, you can have an amazing meal with real flavor, real fast, in less than thirty minutes! When homework is looming or football practice is about to start, I've got a quick and easy meal that's flavorful and nutritious ready to feed my family. With Smithfield Marinated Fresh Pork, the prep work is done for you and the possibilities are endless! I highly recommend these products not only because they are convenient, but they are made from 100% fresh pork and are packed with protein. 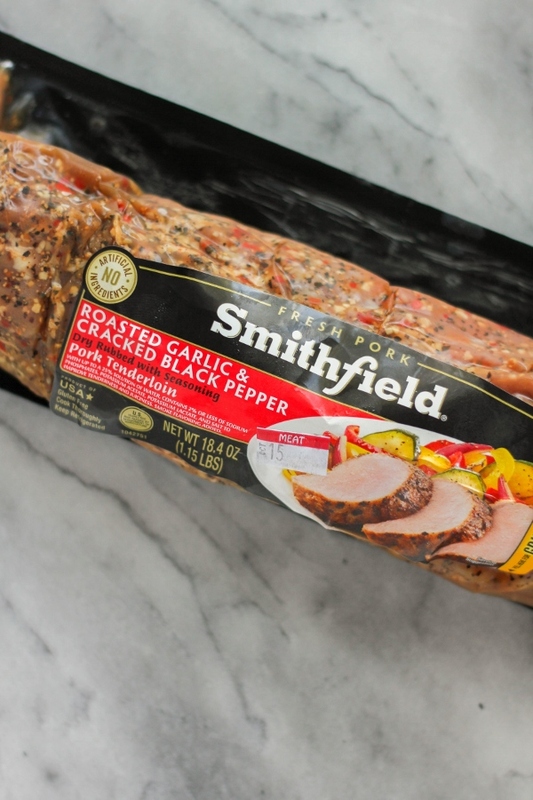 Shop your local Kroger store for entire line of Smithfield Marinated Fresh Pork products! Place the pork tenderloin in a 4 qt. slow cooker. Add the beef broth, cover, and cook on low for 7-8 hours. Remove the pork from the slow cooker and shred with two forks. 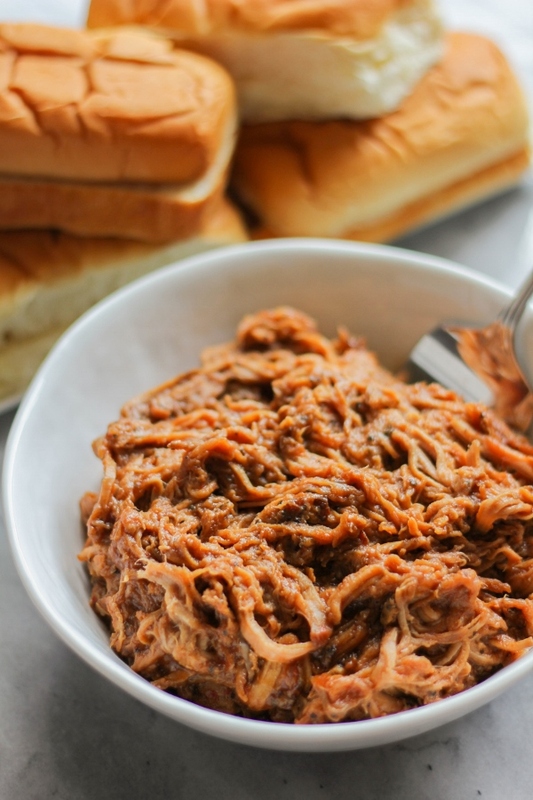 Place the shredded pork back in the slow cooker, pour the barbecue sauce in and mix well to combine. Cook for an additional 15 minutes to heat through. 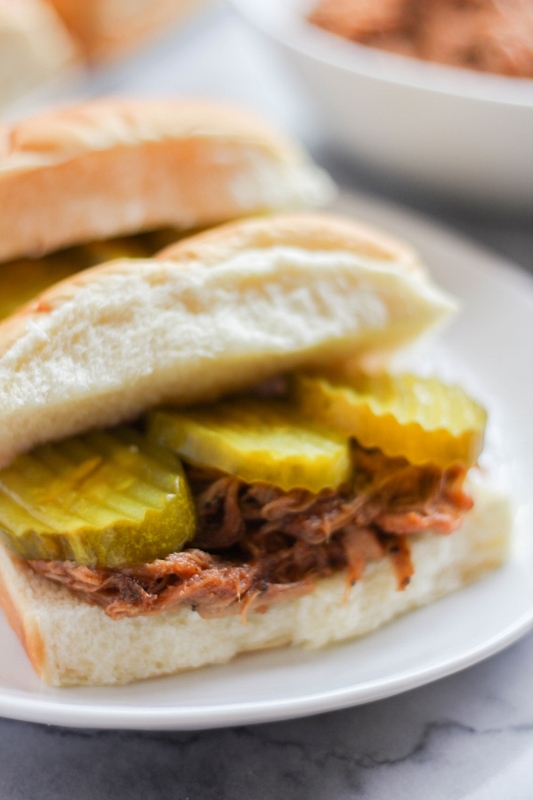 Pile the shredded pork on the bottom halves of the buns, top each with a few pickles, then add the top bun. Serve immediately.